If you’re a fan of shows like NCIS, The Big Bang Theory, and David Letterman, then this is an app you’ll probably love. You can watch all those shows, and a few more, 24 hours after they first air on TV. The only catch is that they’ll only be available for eight days. After that you’ll have to find some other means to get them for free. CBS has been dragging its heels on getting a video streaming app out there. ABC and NBC have both had video apps out for a few years now, so it’s nice that all of America’s major networks have embraced iOS. 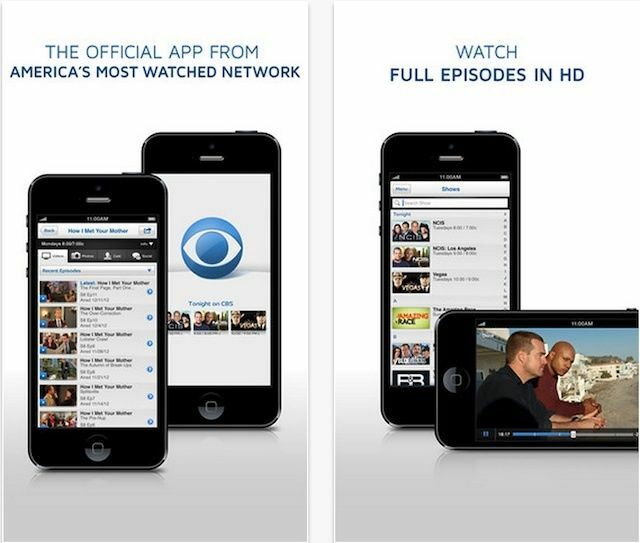 CBS app is available in the App Store right now for free.